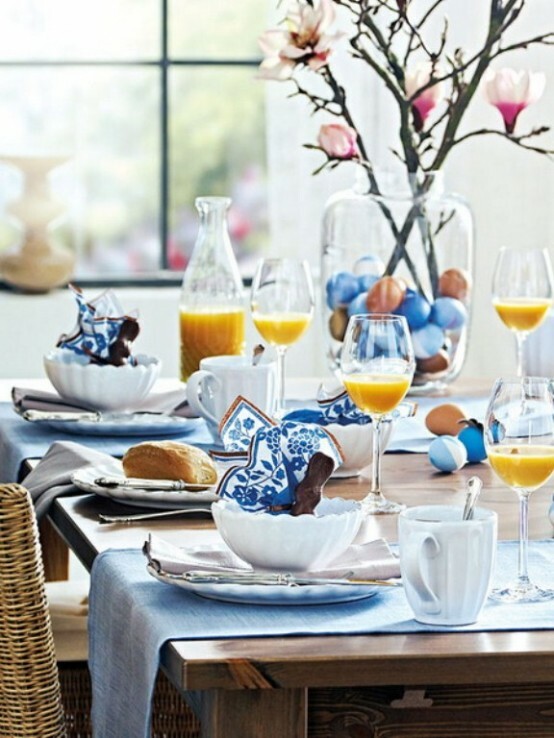 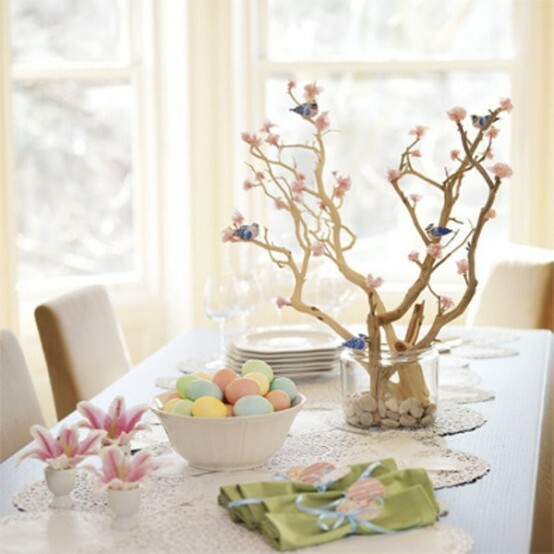 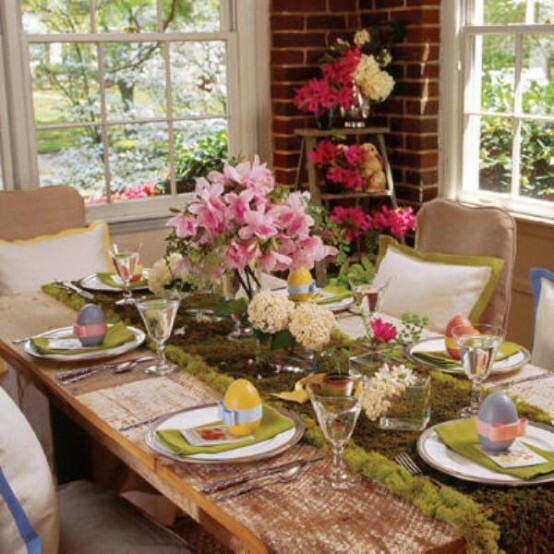 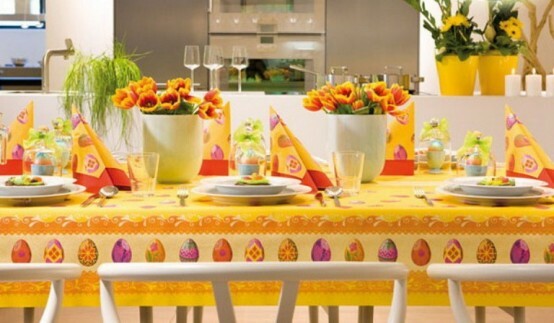 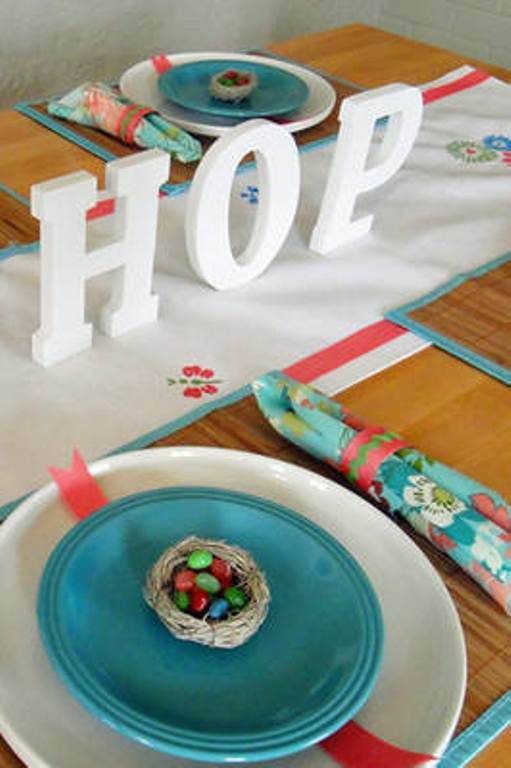 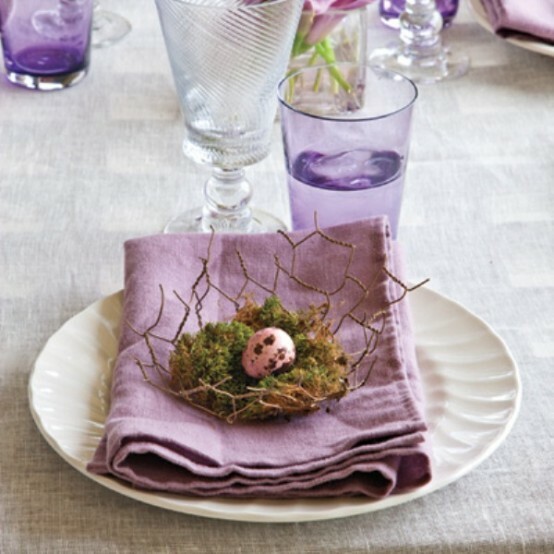 Serving the table for Easter the first thing to do is to remember that it’s spring now and fresh flowers are among the best and simplest decorations. 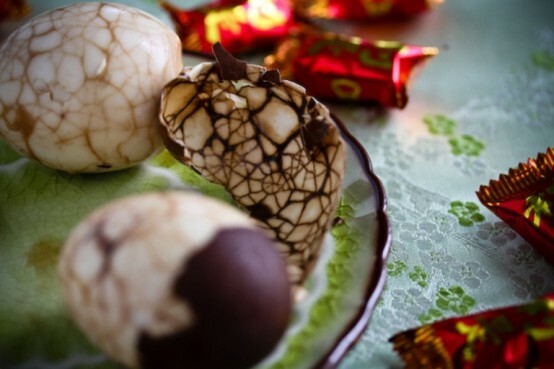 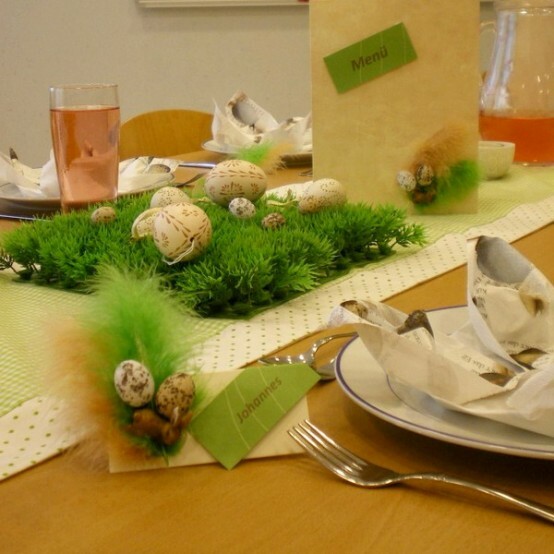 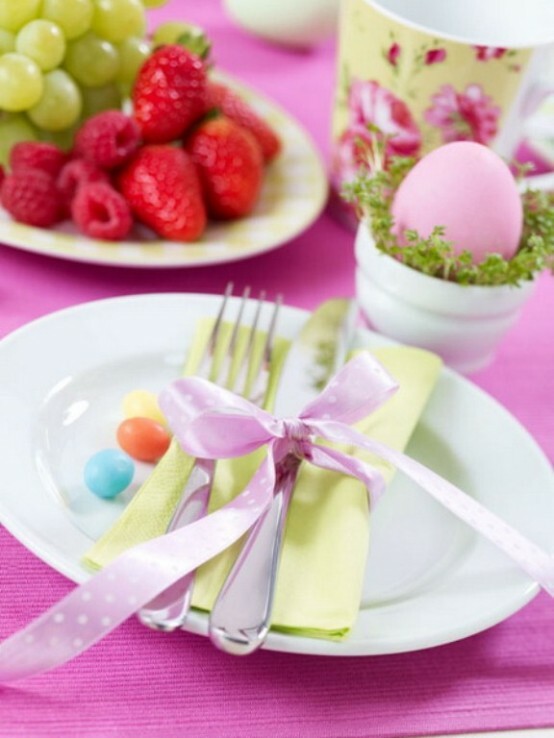 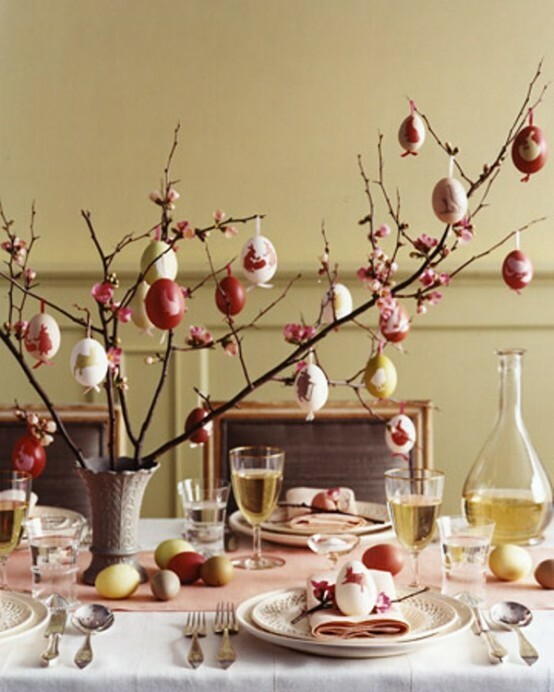 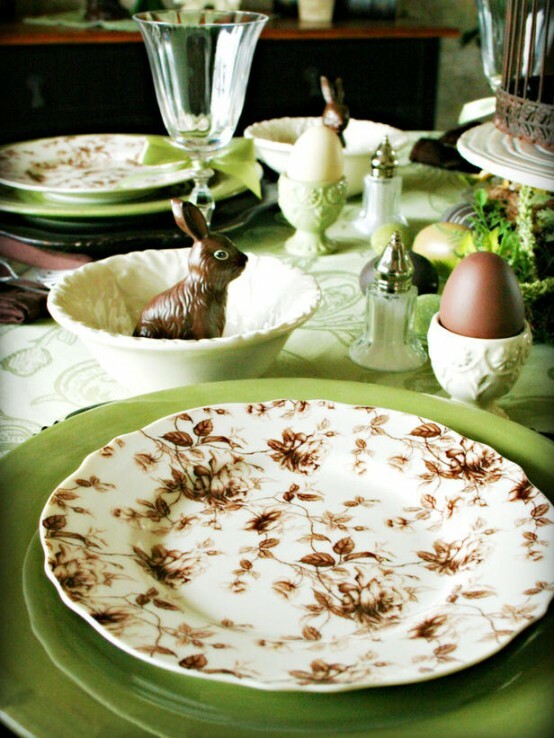 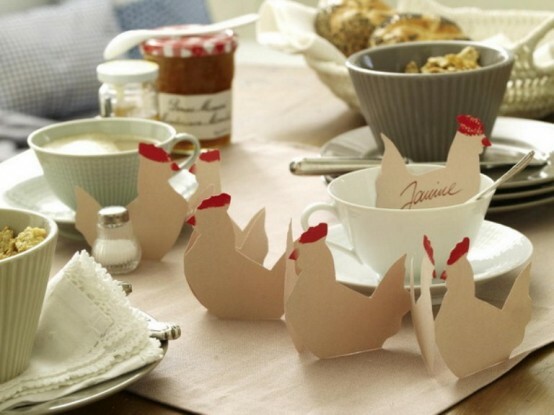 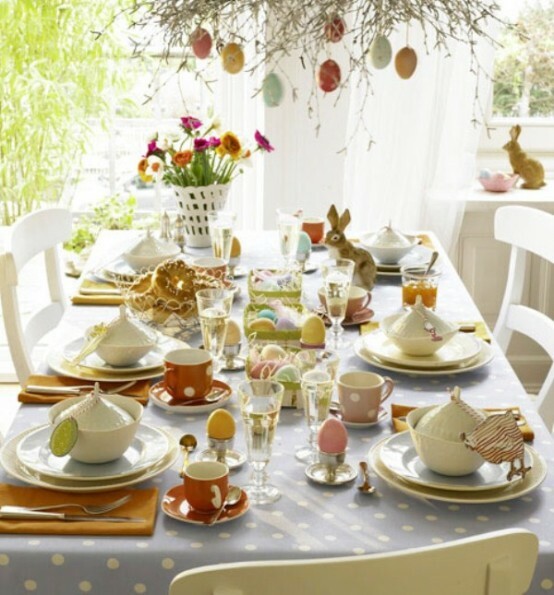 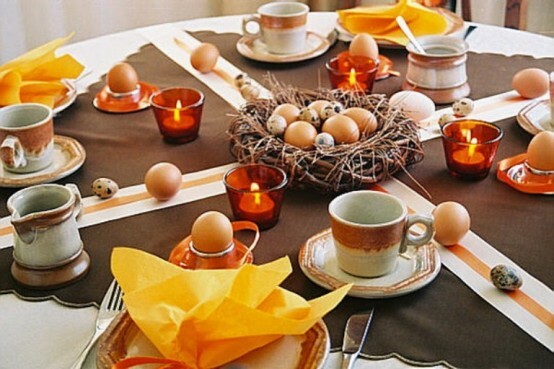 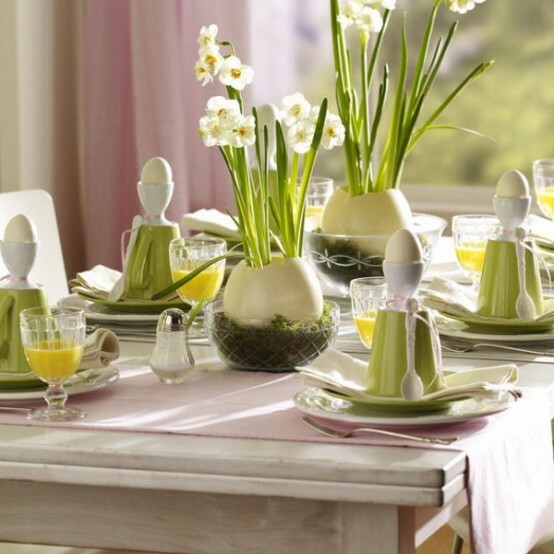 Of course, traditional rabbits and eggs are not to be forgotten! 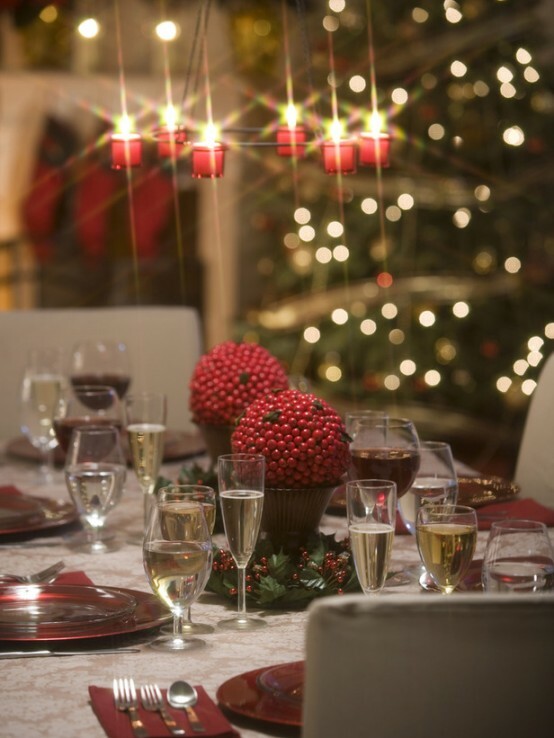 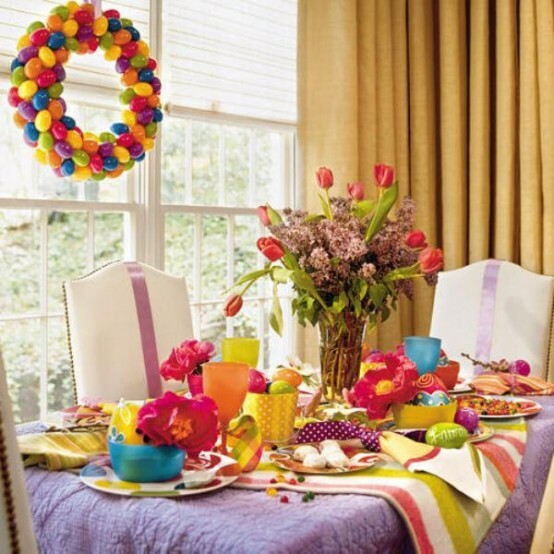 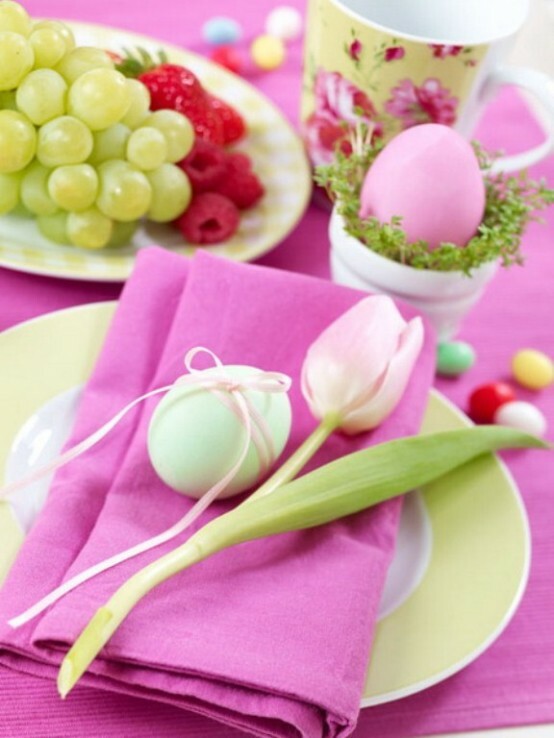 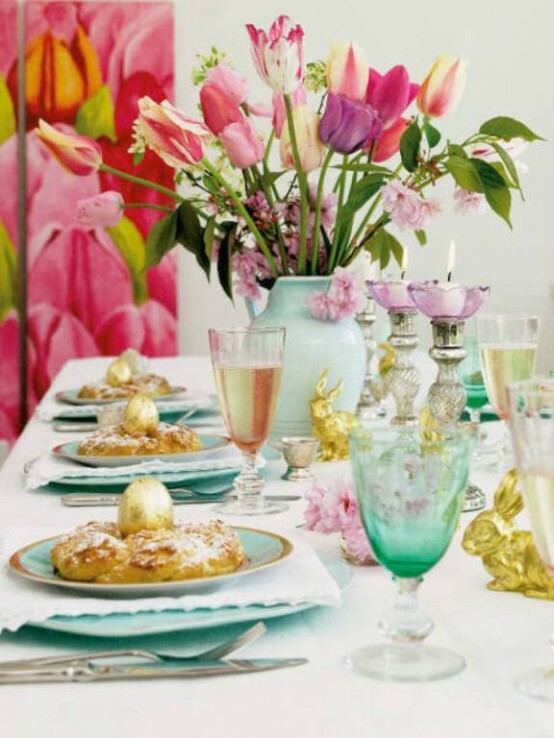 Choose bright color schemes with green, pink, blue and gold to remind to you that it’s the most beautiful time of the year and everything soon will be in blossom. 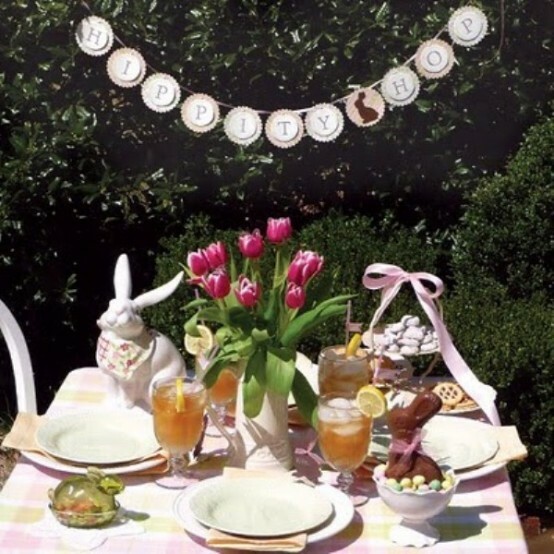 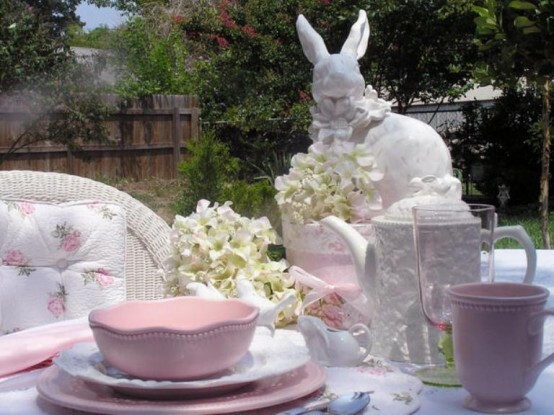 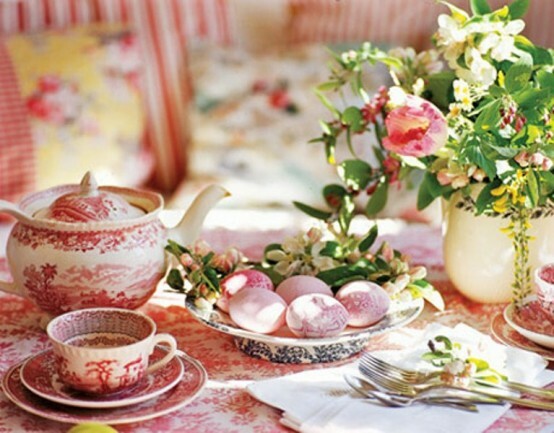 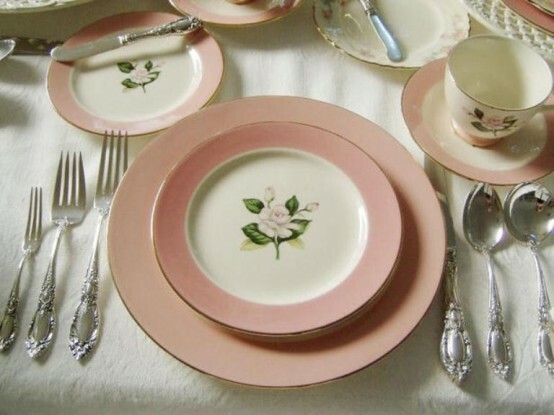 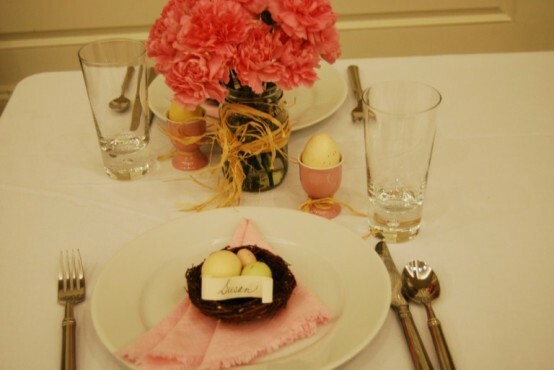 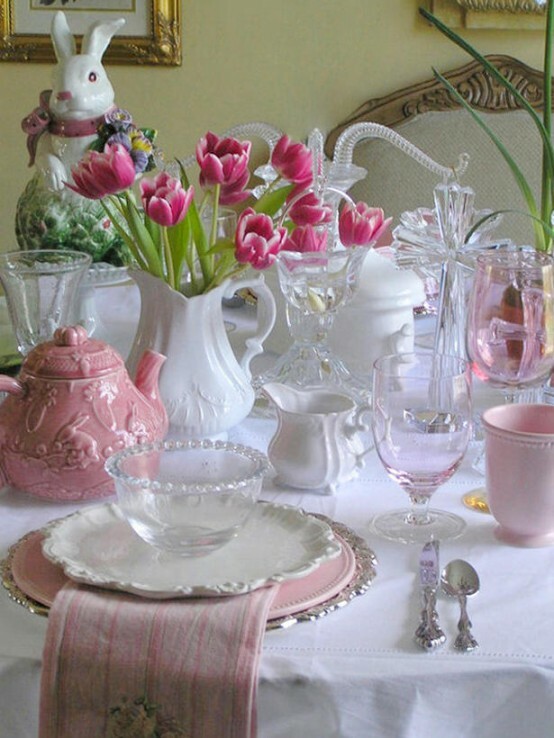 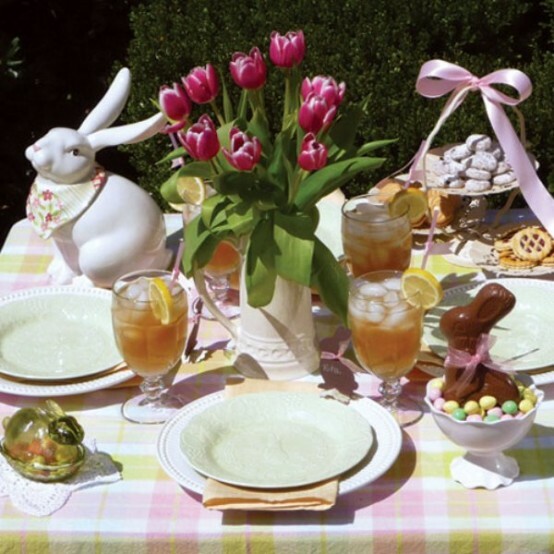 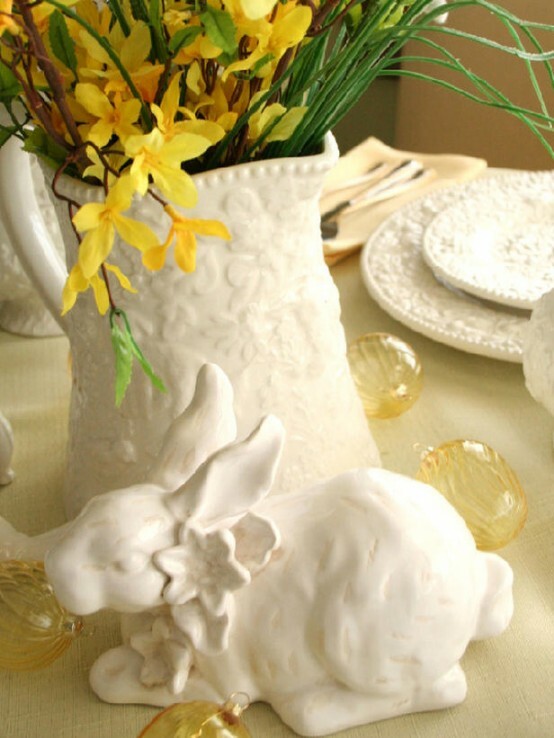 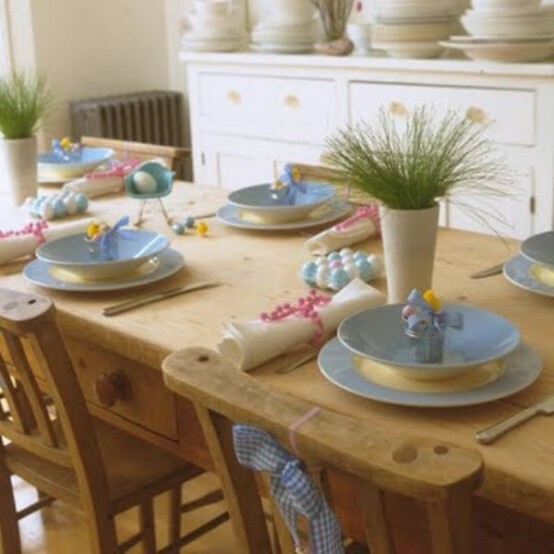 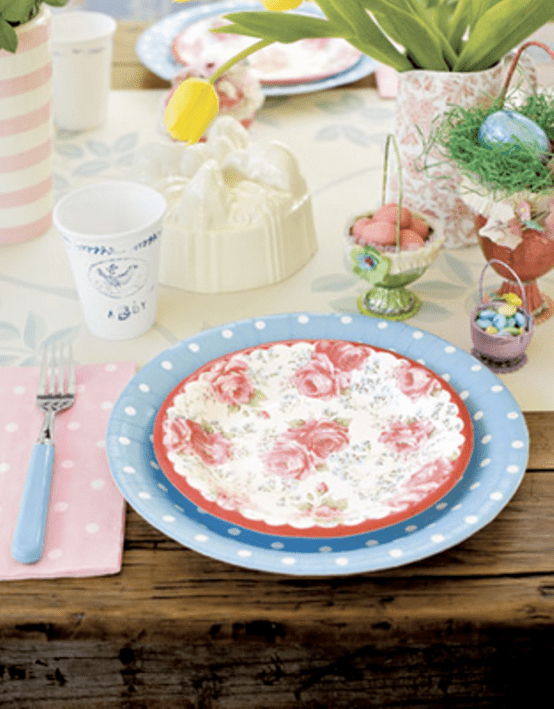 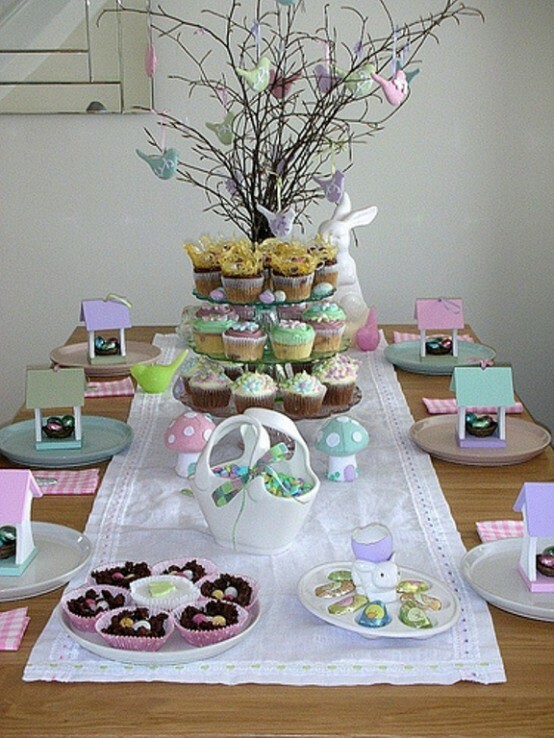 Or you may choose something more traditional like beige and pink and add some porcelain rabbits. 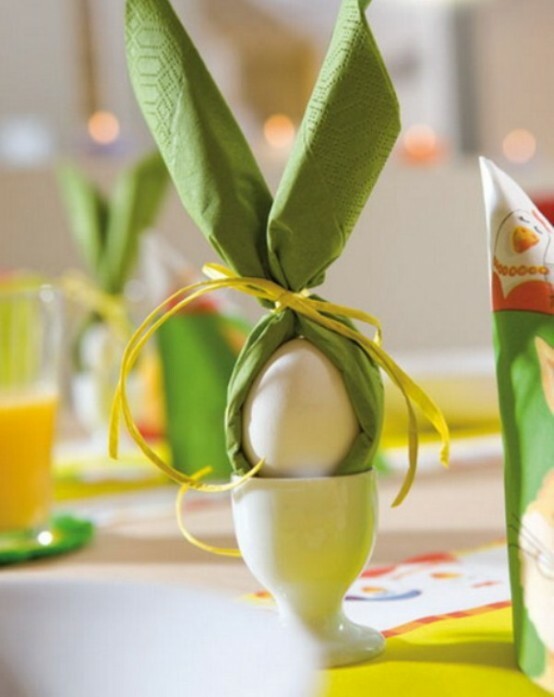 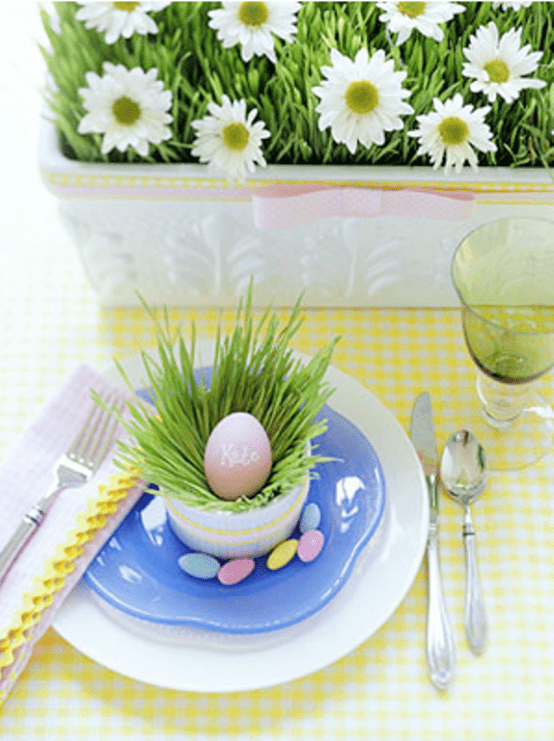 Eggs for decoration and to it and of course baskets! 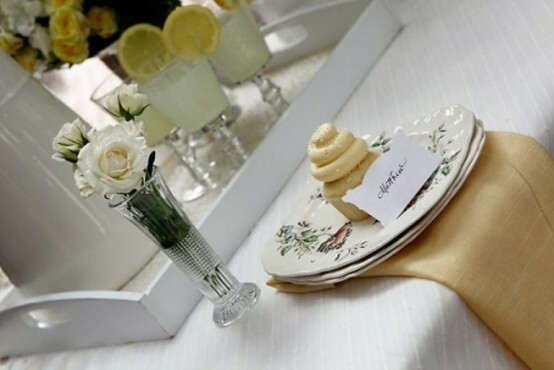 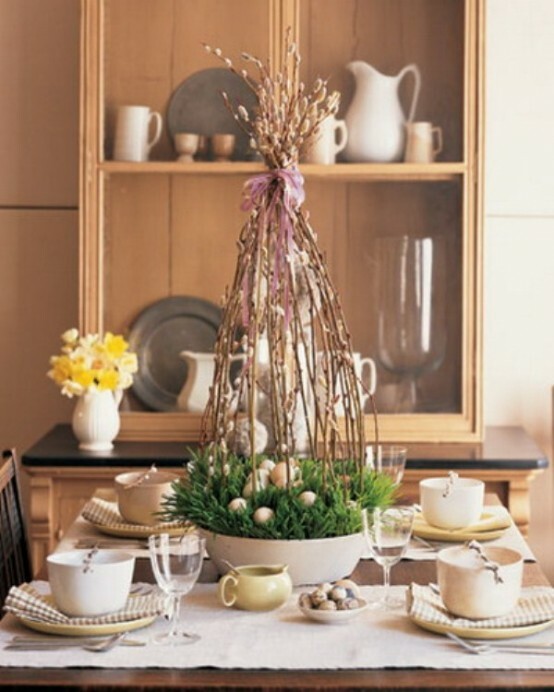 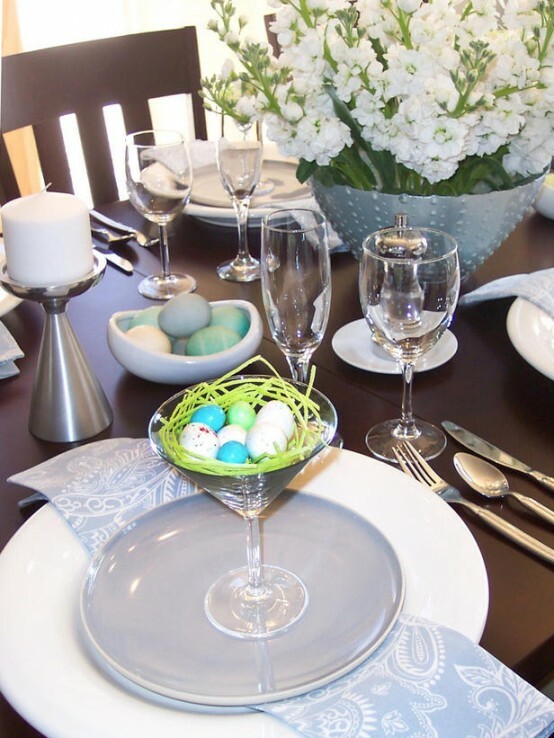 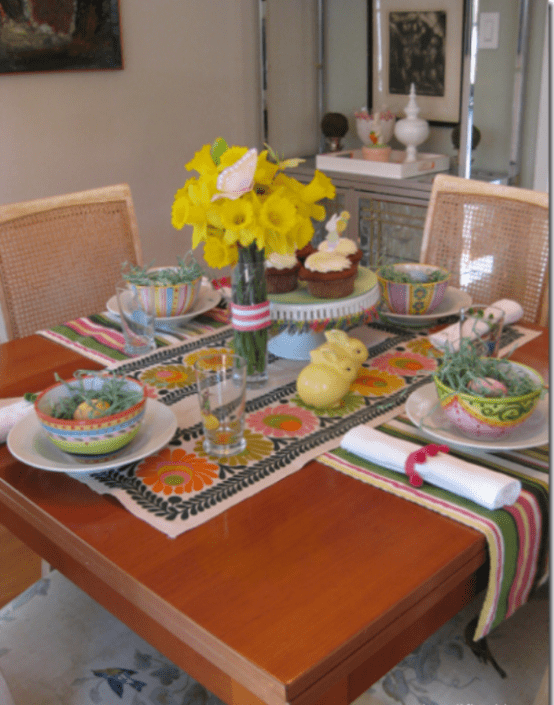 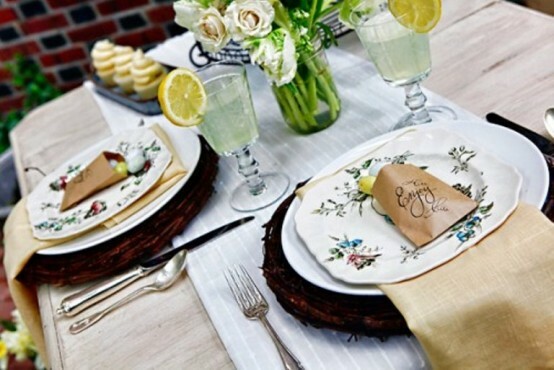 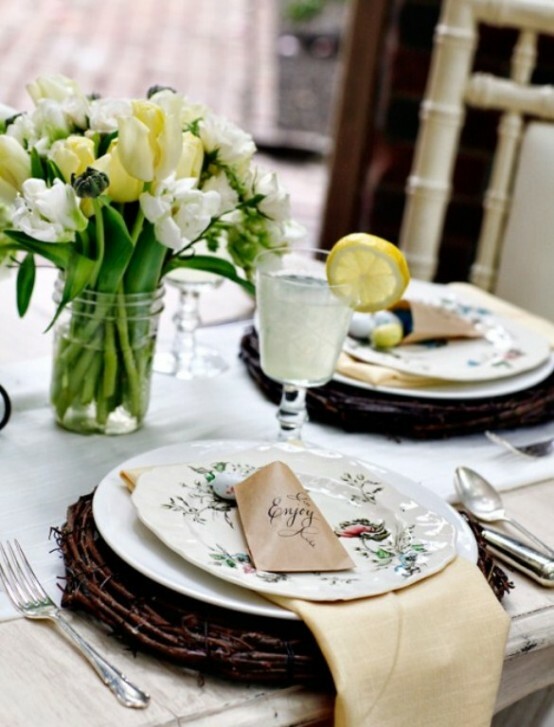 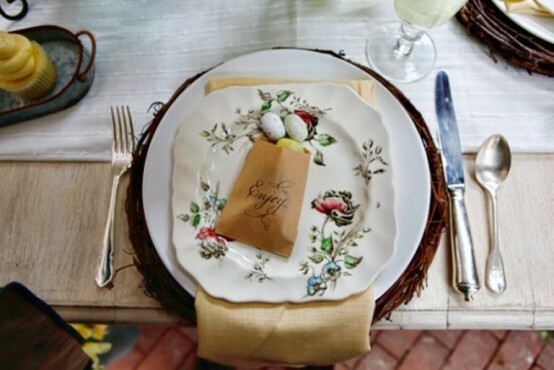 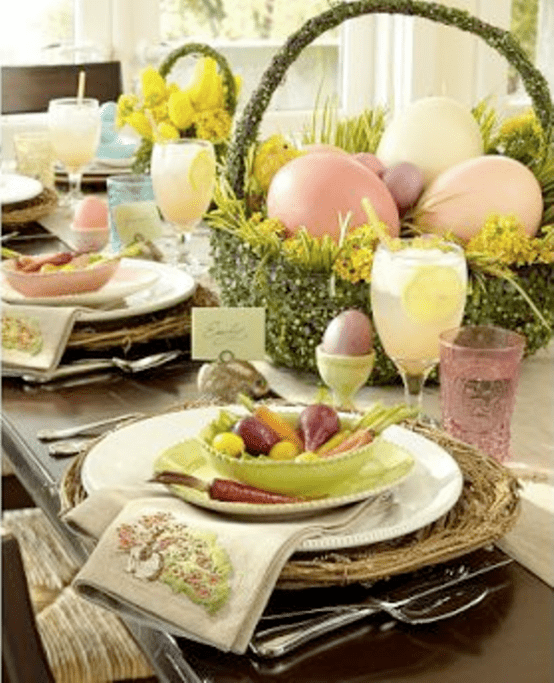 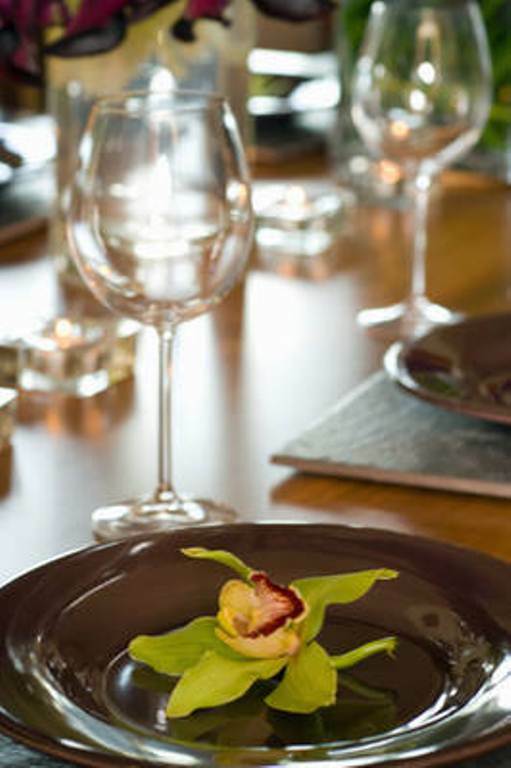 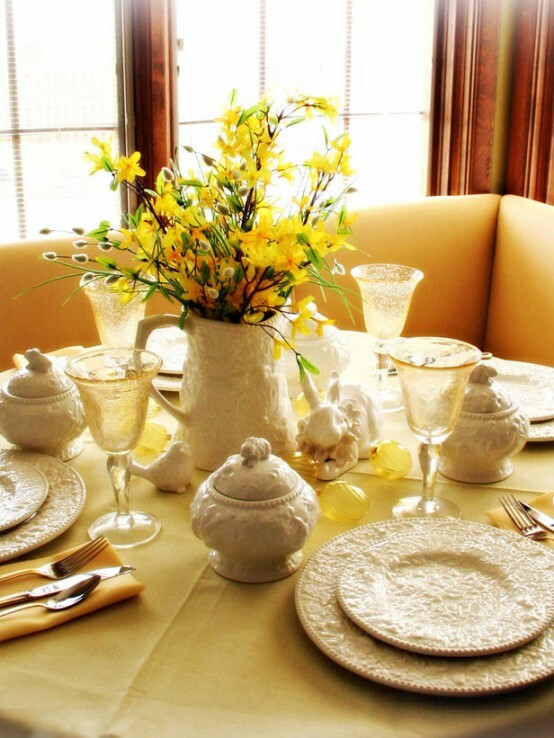 Take some low baskets and put the plates right in them or make a centerpiece. 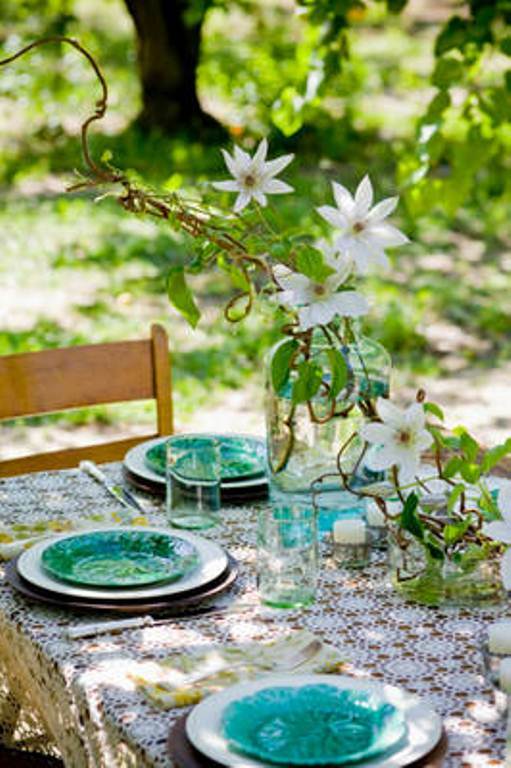 Let everything be perfect on this beautiful day!